Say you run a fairly big firm, company or industry, and there isn’t steady, reliable, and regular infrastructural power supply, you most likely will be on the lookout for an alternate source(s) of power — of which inverters and generators are very good one. However, generators are easier to setup and relatively cost less; reasons why many people opt for big generators over inverters. These big generators can efficiently power almost any load (read: appliance) you might need to power either in your office or home (television sets, deep freezers, refrigerators, electric water pumps, microwave etc) and also usually use diesel as fuel. This is because generators designed to use diesel are more fuel efficient than their petrol counterparts. 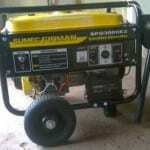 They also have longer operational time on the same amount of fuel used by petrol generators. Long story short, we guess you are reading this article because you have plans to purchase a 10KVA Generator now or later in the future. This is why we bring to you some of the best 10KVA generators we identified online from our detailed search. 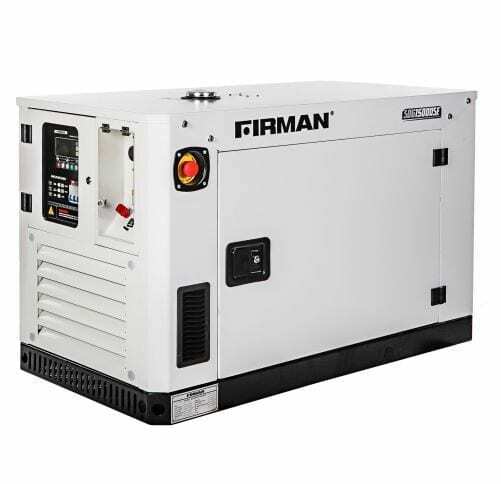 FIRMAN is a popular manufacturer of generators that produces reliable products. If you ever need a 10KVA generator, picking up the FIRMAN SDG15000SE would be a good choice. The SDG15000 is a 280kg diesel generator which rocks a 4-stroke V-twin cylinder OHV water cooled engine. The fuel tank can take a maximum of 25litres diesel and has the capacity to run up to 8 hours on a full tank. The FIRMAN SDG15000 is ultra-silent during operation and can be started either by recoil mechanism or electric key. Perkins is another worthy name to look out for when shopping for a generator. 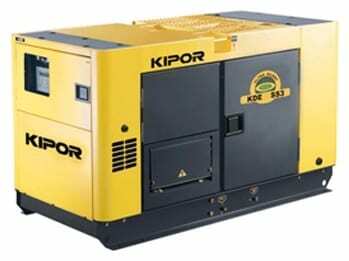 Then, say you need a 10KVA generator, the Perkins generator with engine model #403A-11G is recommended. The 403A-11G is one of the smallest generator made by Perkins and it boasts of a powerful engine with impressive and durable output/performance and low operating costs. The generator set comes with a sound attenuated enclosure made out of high-quality steel and paint process. Aside being an household name in the diesel generator space, Mikano is also a trusted brand with reliable products that are recipients of many positive reviews across the globe. The above image is that of Mikano’s soundproof generator with a prime power of 10KVA. Like the above Perkins generator, the Mikano 10KVA generator uses a 403-11G engine in a soundproof, dustproof and waterproof enclosure. To add, the fuel efficiency level of this product cannot be overstated. 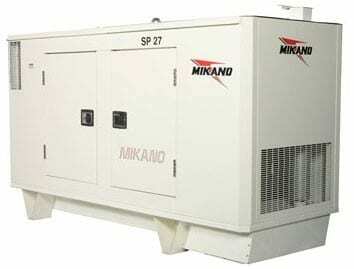 According to the manufacturer, this Mikano 10KVA generator uses 2 litres of diesel per 60 minutes of operation. Due to the popularity of the Mikano brand, their products are quite on the high side price-wise, but they are worth every penny. Elemax is another renowned generator manufacturer. The Japan-based company manufactures both high-quality small and big sized generators and some of their products have features on the list of best 2.5KVA generators, 3.5KVA generators, and 5KVA generators to buy in 2018. 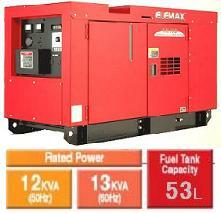 The Elemax SH15D has a powerful diesel engine and primes between 12KVA and 13KVA. With a dry weight of 387kg and fuel capacity of 53 litres, the product is quite bigger than other generators on this list and even with better output/voltage. Other features of the Elemax SH15D include 4 (warning) indicator lights, 2 output plug sockets, electric start only, Voltmeter, up to 10 hours operating time, automatic transfer switch (ATS) terminal. Designed to be super silent and environmentally friendly, the Kipor KDE19STA has a rated output of 14.4KVA and max output of 16.7KVA. The Kipor KDE19 weighs 442kg, has a fuel capacity of 38 litres, 4.8L lube oil capacity, electric starting system, and a full tank run time of 7 hours. There are teens and hundreds of 10KVA generators from different brands out there but we have identified these 5 as some of the best ones worth the huge money investment a 10KVA requires. Do you use any of the above generators? Or have you ever used any? How was your experience?